GAN-e-meed Theatre Project's "One Page Play Experiment"
There's still time to submit a work for GAN-e-meed Theatre Project's first One Page Play Experiment, a celebration and competition of visual art, text, and performance. The top fifteen submissions, as selected by GAN-e-meed, will be displayed during the run of GAN-e-meed’s production of "Silence" where audience members will vote for their favorites. They will also be presented as staged readings on Sunday, December 12, in a free performance, open to the public, and accompanied by a reception. The winners of the audience vote will receive a full performance as part of GAN-e-meed’s 2011 season. 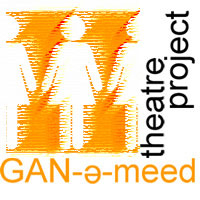 GAN-e-meed exists to advance the role of women in theater. Submissions will consist of a play with a maximum of two characters (of any gender), written on one side of one page of letter-size white paper, with a one half-inch margin on all four sides. The page must not be folded but may be decorated in any two-dimensional way, and the text must be legible without the use of a magnifying glass. Any artist may submit by emailing a PDF to info@ganemeed.org, or sending a hard copy (which will not be returned), to: One Page Play Experiment, c/o GAN-e-meed Theatre Project, P.O. Box 551, Tyngsboro, MA 01879. No other formats will be accepted. All submissions must be emailed or USPS postmarked by Saturday, November 20, 2010. The Experiment was inspired by the blank lobby walls of the Elizabeth Peabody House, where GAN-e-meed is presenting Moira Buffini’s "Silence," from December 2-18." Producing Artistic Director SerahRose Roth commented, “Blank walls are great -- it gives us an opportunity to support other artists. I was considering mounting an exhibition but when I looked around at GAN-e-meed’s monthly Networking Night for Women in Theatre and saw the many playwrights, I wanted to find a way to support their work, give them new a challenge, and offer them a new home. The two thoughts eventually melded into this new amalgam. The One Page Play Experiment reception and performance will take place on Sunday, December 12, at 2 p.m., at the Elizabeth Peabody House, located at 277 Broadway in Somerville. While the event is free, seating is limited and reservations are strongly encouraged. Visit www.ganemeed.org or call 617-863-0664.